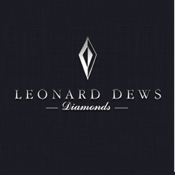 Leonard Dews of Blackpool is the choice destination for the finest diamonds, most exquisite jewellery and latest timepieces. Operating as a family business since the 1920s, this award-winning company has an unswerving commitment to the highest standards of quality and customer service. The Leonard Dews experience is now going mobile with the launch of an iOS app, allowing you to browse our catalogue in a brand new way. The app features products from our current catalogue as well as bringing you info on our latest launches and promotions. You can share your favourite pieces via Facebook, Twitter, and e-mail or add them to your wishlist for easy access. Also available to help you is an informational diamond guide and an interactive ring sizer. Keep up to date with the latest at Leonard Dews.